Schopenhauer is one of the greatest philosophers to live on this planet. He is also considered as the philosopher of pessimism because he came up with a variety of theories to highlight the value of existence. 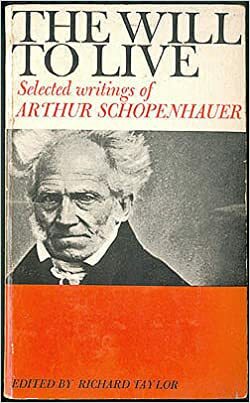 The muscular and elegant prose possessed by Schopenhauer helped him to earn a reputation as one of the best German stylists to live on the planet. Even though he didn’t gain fame as other great philosophers to live on the globe such as Ludwig Wittgenstein and Sigmund Freud, he was able to come up with some great contributions to the development of philosophical theories. If you take a closer look at the features of Schopenhauer’s philosophy, you would realize that pessimism is the most popular one. As a result, Schopenhauer is also called as the philosopher of pessimism. The pessimistic vision portrayed by Schopenhauer follows from the inner world’s nature due to strive, aimless and blind. As you already know, the will has no purpose or goal. Due to this reason, satisfaction of the will is not something that’s possible. In other words, the will would objectify itself in the hierarchy of graduation, which comes to organic life from inorganic life. In here, all the grades of objectification associated with the will, including animal motion and gravity would be considered as a part of the insatiable striving. Moreover, all organic forms that exist in nature and every force that can be found in nature, would take part in a struggle, regardless of other organisms and effects. As a result, existence is considered as a factor, which is determined by dissatisfaction, struggle, and conflict. 1855 painting of Schopenhauer by Jules Lunteschütz. According to Schopenhauer, the attainment of a desire or a goal would result in satisfaction. On the other hand, frustration linked with such an achievement would contribute towards suffering. That’s because existence is determined by deficiency or need. Since satisfaction connected with want is something unsustainable, life would entirely be characterized by suffering. It would contribute towards all aspects of nature, including the inanimate characters. Suffering has become more conspicuous in human life. The intellectual capacities linked with pain have contributed a lot towards the fact mentioned above. Even though reason is used, humans are not in a position to change the misery that they go through. In fact, reason would just magnify the degree that people would suffer. Therefore, all pursuits of humankind would be fruitless, and they would turn out to be illusory. According to the theory, Schopenhauer highlights that the essence of existence is something like insatiable striving. Therefore, Schopenhauer concludes that nonexistence is preferable when compared to life. However, he also highlights that suicide would not be the best option available in this kind of a situation to consider. That’s because a person cannot solve all the problems linked with suicide through suicide and it can lead individuals towards more suffering.